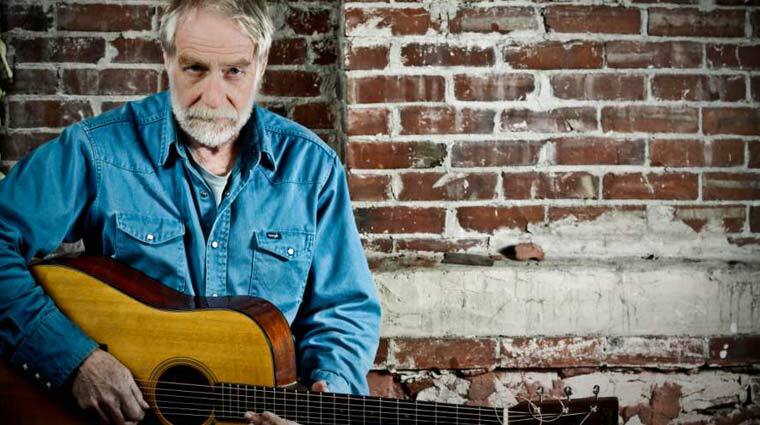 A turning point in Mallett’s career came in 1975, after he discovered that Noel Paul Stookey of Peter, Paul and Mary had moved to Blue Hill, Maine and was opening a recording studio. “That was back in the days when a recording studio was sort of like Oz,” he said. “It was a foreign land. I wanted to see his studio, so, I called him up and said, ‘Can I come visit?’” Within six months of their initial meeting, Mallett found a true mentor in Stookey. In addition to producing Mallett’s first three albums, Stookey helped to bring his tune, “The Garden Song”, to the attention of influential folksinger Pete Seeger who included it on his 1979 album, “Circles And Seasons.” John Denver soon recorded the song and took it to the top ten in the adult contemporary charts in the late 70s. “The Garden Song,” recorded hundreds of times and performed around the world, has gone on to find its place amidst the lexicon of American folk songs. “It was never that big a hit,” said Mallett, “never blared at you, ten times an hour, on the radio. It’s gotten around but in a very human way, through the mouths of children, campfires and wedding ceremonies. I’m so proud to be associated with such a simple and beautiful thing. Touring the folk circuit for ten years and moving to Nashville in the late 80s Mallett continued to record and write new songs. While in Nashville, with the help of veteran producer Jim Rooney, Mallett recorded a total of three records for Chicago-based Flying Fish Records and two collections for Vanguard and wrote songs recorded by Marty Stuart, Hal Ketchum, Emmylou Harris, Kathy Mattea, Alison Krauss and others. Meanwhile his “Ballad of the St. Annes Reel” from his second album evolved into a folk classic played around the world. Since returning to Maine in 1995, Mallett has recorded two cds for Rounder / Flying Fish in the 90s and tour nationally Canada and in the UK. He has performed at Wolf Trap, The Kennedy Center, The Newport Folk Festival, Prairie Home Companion, among many notable venues. He has released 5 cds on his own North Road label in the last ten years, including Artist In Me (acclaimed by Associated Press as one of the year’s best records), Midnight on the Water (a live cd), The Fable True (in which he successfully explored the spoken word realm with his collection of Henry David Thoreau’s stories about his visits to Maine in the mid 1800′s with instrumental soundtrack). His 2009 release, Alright Now, was proclaimed “a masterpiece” by the Boston Globe. The 12 songs contained on Greenin’ Up further build on and support his reputation for having a storyteller’s naturalness and a poet’s intelligence. Although it is rooted in place, his music speaks to the essential things that move us all. Mallett knows the factory work, the field work, the memories of summer dances, the loves and losses, and the stunning incidents of courage and despair. When he is not touring, the place where he makes his songs is in his writing room in an old farmhouse with a view across the field and a tintype of his great-great grandfather on the wall.